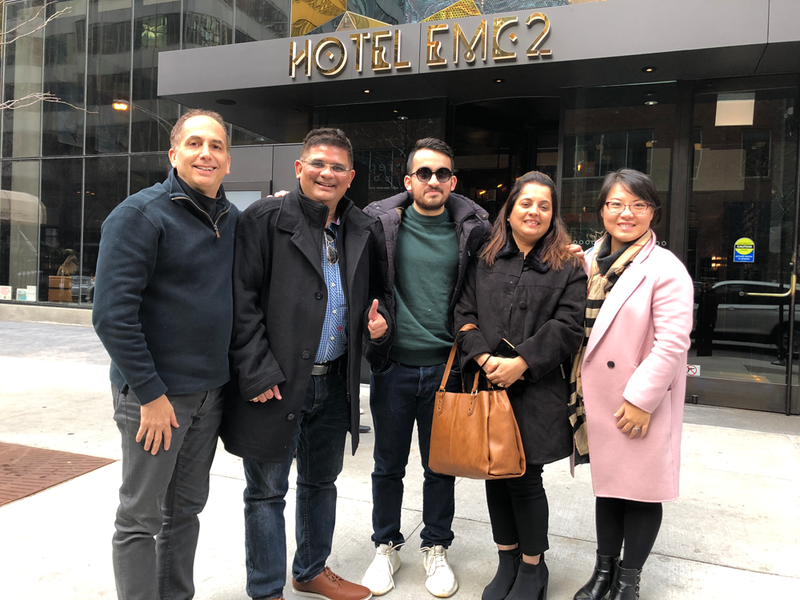 Go EB5- RC Regional Center is delighted to announce that Mr. Mehta, one of our early EB-5 investors, received their immigrant status in the middle of November 2017, which came about from an investment in our SMASHotels EB-5 hotel project, located in downtown Chicago. 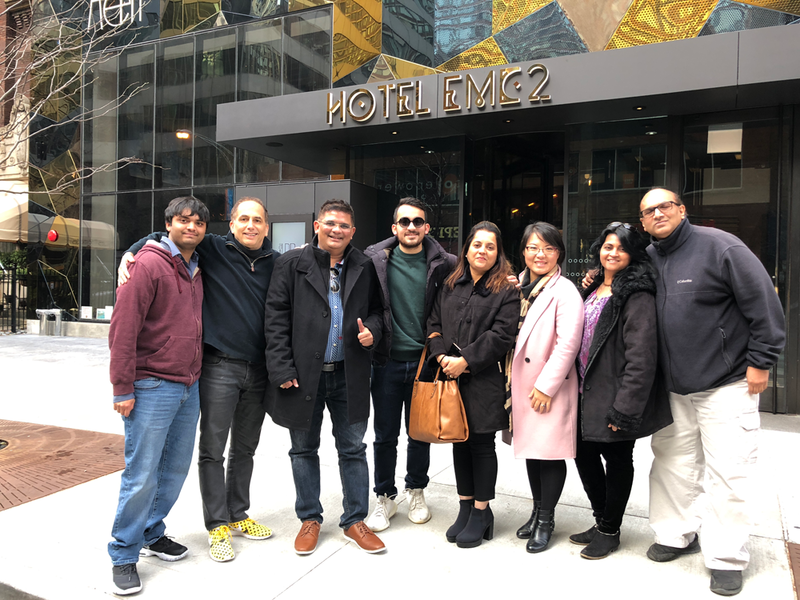 To celebrate, Mr. Mehta (and his family) flew to Chicago from India to spend a couple of nights at the SMASHotels EB5 project (Hotel EMC2). In a warm gathering, Mr. Mehta and their family were joined by both Scott Greenberg and Joanna Lowry to celebrate this wonderful achievement. The Mehta family Chicago celebration was joyous as the family is grateful to be invested in a successful EB-5 project to help them achieve their American Dream! Mr. Mehta has a successful Indian medical device manufacturing business. Mr. Mehta also has an office in California. The Mehta family has two children and both of them received higher education in the U.S.
Now, with a green card, their family can be reunited in the U.S. as they start a new journey together. After the family stayed at the newly opened SMASHotel project (Hotel EMC2), Mr. Mehta remarked that the family blessed the hotel by walking around the block and giving thanks to God and praying for protection of the hotel. The principals of Go-EB5 RC, Regional Center are reminded, once again, that behind each investor, there is a deeply held dream for a family living in America. We recognize the responsibility that we have to each family that has invested with us. We wish the Mehta family the best luck with their new journey in life.